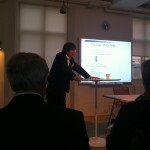 I went to a seminar called “Bogbranchens udfordringer” (Challenges in the publishing industry) in October. 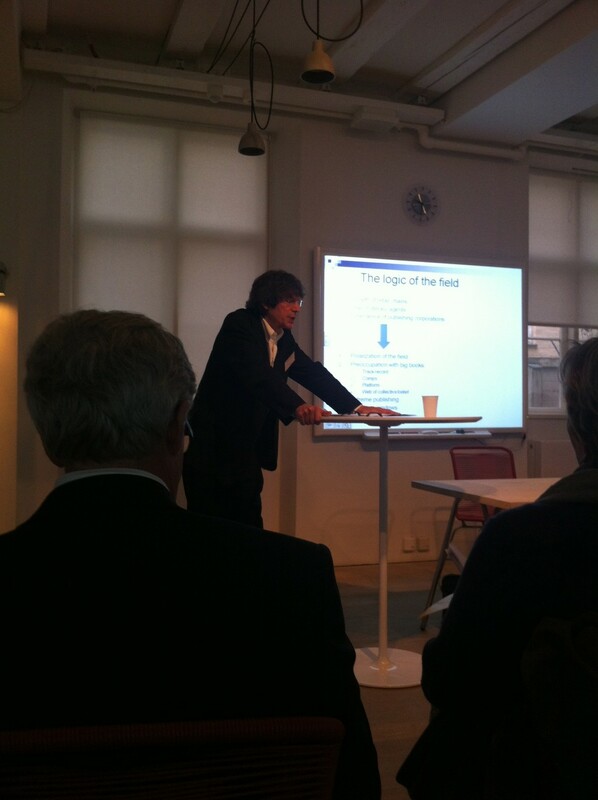 The seminar was arranged by BogMarkedet and held at Gyldendal. 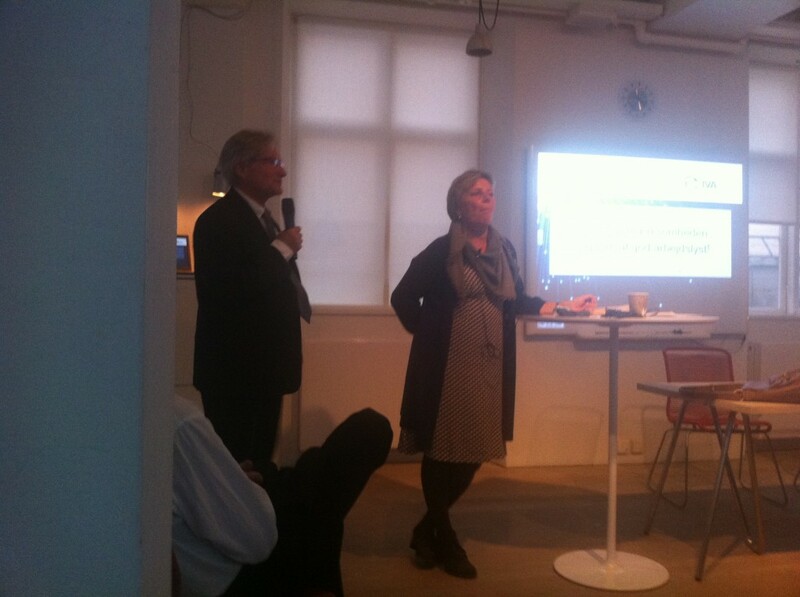 As well as representatives of book sellers and publishers, BogMarkedet had invited scholars John B. Thompson and Lisbeth Worsøe-Schmidt to speak at the seminar. 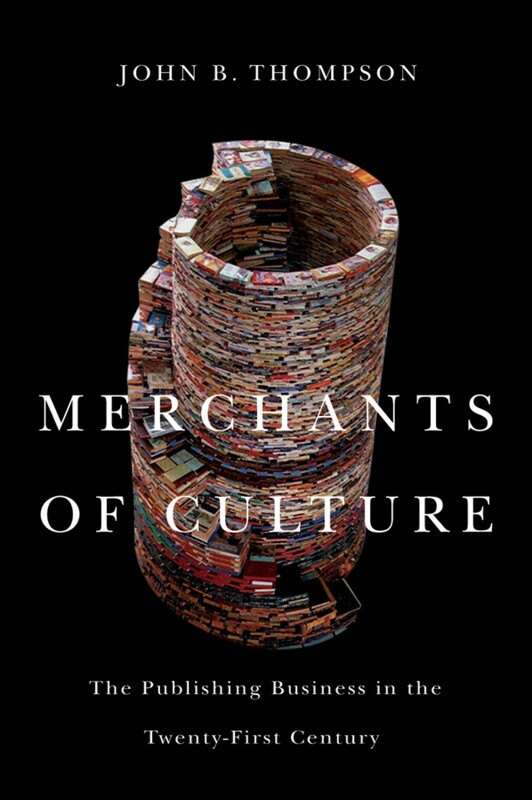 The title of this post refers to a statement by John B. Thompson, author of recently published “Merchants of Culture – The Publishing Business in the Twenty-First Century”. Thompson has done extensive research in order to map out the general interest publishing industry as it stands in the US and UK from agents to publishers including the different challenges the whole industry faces in the digital age. 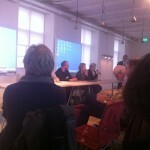 The following is a recount of the presentations by Thompson, Worsøe-Schmidt and a quick run-over of the panel debate. Using Bourdieu’s notion of capital and interviewing over 280 people in the business Thompson has looked at the publishing field as a structured space of power with linguistic and spatial boundaries to find the certain “logic of the field”. 1) there has been a massive growth in retail chains from the 60’s to 80’s – mall stores to super bookstores. This has led to a decline in independent book sellers, and shifts in ways books are stocked and sold. 2) the rise of the specific literary agents – the super agent who comes from the outside and doesn’t follow the standard protocol or ethics held by previous arrangements. 3) the emergence of publishing corporations. In the US and UK there are 4-5 major ones, and the top 4 in the US stand for 40 % of all sales while in the UK they stand for 50 % of all sales. The development has led to a polarization of the field, making it very hard to be in the middle. Indie press is a world in its own, as they help each other out, and freelance rates differ when it comes to large and indie presses. Medium presses are worse off because it is harder to get financial gain and keep successful writers. They don’t get favors, such as discounted rates by freelancers, and don’t have much to fall back on if they strike out with an investment. At the same time the market is more and more preoccupied with handling big books – which according to Thompson leads to stagnation in the market. Fewer books are published and big books replace mid-list books. Now, big books are not the same as bestsellers, they are the hoped-for bestsellers publishers are looking for – Thompson says these books exist in the ‘space of the possible’ which is a buzz-creator. Furthermore half of them lose money, and only one in 10 make a difference in revenue. There is a difference in how the logic of the field plays out in the US and the UK. In the US publishers have to offer same discount to the alike fields of retailers, a deal set out by the Robinson Patman Act, while UK retailers can sell books at any rate they like, and give discounts as they deem necessary. This means that publishers are in the middle between agents and retailers. 1) short-termism. Great effort and time goes into finding the closing-gap book. Older authors are marooned by a business that previously embraced them. They move to small presses or more radically, change their names. The industry is not good at cultivating long-term relationships. 2) Diversity. Thompson doesn’t think it is a simple question of yes or no. Growth and multiple titles could indicate diversity. But the distinction is important: there are two types of diversity; diversity in outputs vs. diversity in marketplace. It is a winner-takes-more-market. 3) Digital revolution. E-book sales are 10 % of trade book revenues in 2010. While many had envisaged that academic books would reign in the field of digital publishing it turned out to be romance and crime fiction that are the popular genres in the e-book market. Amazon and Barnes & Noble are key players, and publishers are worried about the power of Amazon. The e-book market is a struggle over price deflation and Amazon is losing money because they want to drive sales their way and monopolize the market with their own devices. When John Sargent at MacMillan pushed the agency model and opposed the discount model Amazon replied by turning of the buy-buttons on all MacMillan books, and MacMillan and Amazon went into a standoff. Amazon later backed down and reversed the “embargo” on MacMillan books at Amazon. 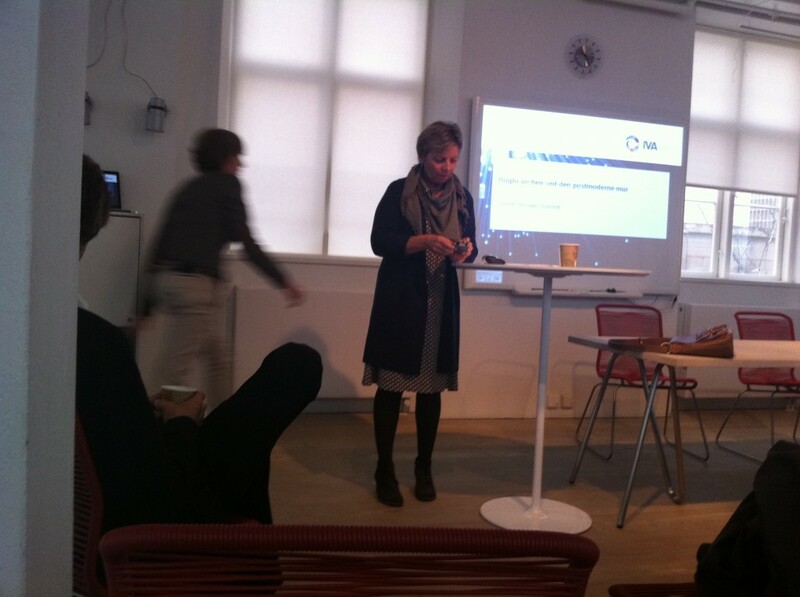 After the presentation by Thompson scholar Lisbeth Worsøe-Schmidt from the IVA (Royal School of Library and Information Science) presented her take on the Danish market. LWS led off by stating that the Danish business sector is very closed, making it very hard for researchers to analyze and help the publishing field. 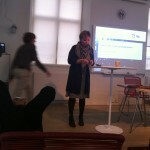 And according to Lisbeth Worsøe-Schmidt the field needs help, and it requires a community. The Danish publishing industry is a small one with great challenges and is first and foremost limited by language (as world languages go, Danish is in the minorities). Internal rules of publishing have gone untouched until the start of 2001 and in the small period of 10 years the business is converting into a new type of marked. Neither the industry or society in general were prepared for it. Development has shown that the Danish market can’t handle the process on its own, so in order for it to be successful change needs to be a culture-political project. 1) The business is in the process of going modern with the deregulation of prices. 2) There is a financial crisis and the audience is turning from public to private. 3) The book trade has hit a postmodern wall bigger than mere technological changes. Interest in the pre-modern was in content, and material comes second. The market was simple, lucid. The modern market is characterized by being a goods market. Quantity takes precedence over quality. This does not mean quality is out, but true emphasis is on quantity. When we get to the postmodern marked there is a shift in values. Parts of the pre-modern undergoes a renaissance and audiences become more interested in quality. On the other hand the complex marked goes into a hypercomplex marked and the marked structures are impossible to grasp, both from the inside and outside making the perspective fragmented. This leads to a questioning of the industry’s function. The problem is not getting the items, but sorting through the immense amounts of them and in the process creating value. In the strictest sense buyers don’t need editors or bookshops – so in order to reclaim a place in the chain the industry needs to find out what its top-qualification validating its existence is. In stead of holding on to the values of a commercial market, the value of qualification in publishing goes to quality. In the modern market authority and power lay with the expert, but in the postmodern the power has shifted to the audience. Focusing on profit has neglected the struggle between the audience and the business and miscommunication. The Danish publishing industry needs to make clear to its consumers that the seemingly high price is connected not so much to production costs as the amount of editing hours and various steps in profiling books. 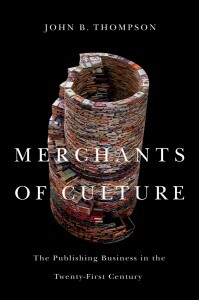 LWS goes on to say that independent bookstores are cultural intermediaries, not market connoisseurs. The logic is that emphasis is on quality and not quantity. Her advice to the industry is to focus more on strategic communication, getting to know an audience and most important the industry itself. Expanding and developing competences and not shying away from using knowledge to stand out in the crowd. 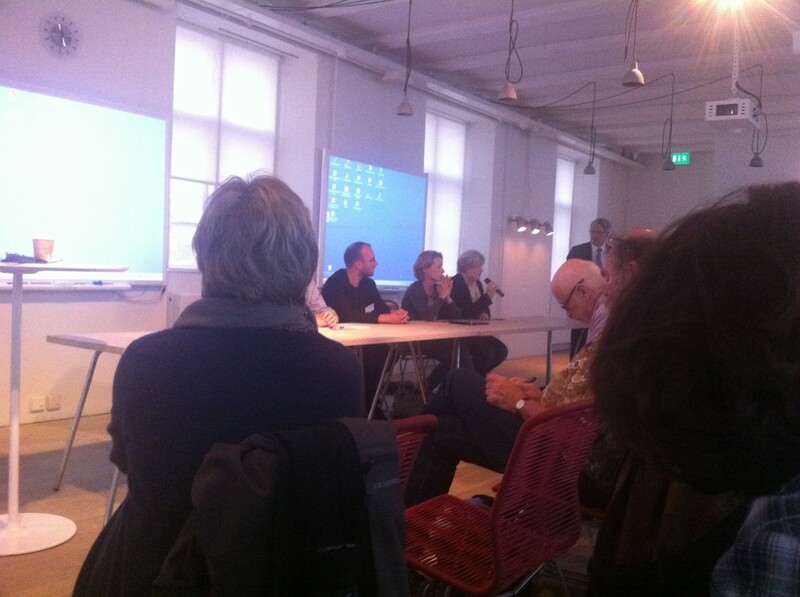 After the two presentations a panel of four representatives (two from bookshops and two publishers) talked about their take on Danish publishing today. All were pretty much unanimous that the industry needed to go all out on quality and that the industry needed a proper trade organization in order to create a framework and avoiding confusions and mixed signaling from one end to the other. The two bookshop representatives criticized the development that had included supermarkets into the fold, making it very hard if not unfair to compete with, and changing the direction of the book market into volume and bestsellerism. Supermarkets are easy, but they demand high discounts. The conclusion is that the whole of the market needs to start talking with another if publishing is to survive.